Study reveals how blood vessels in the bone marrow protect dormant tumor cells, suggests a way to kill them in their sleep. Researchers at Fred Hutchinson Cancer Research Center in Seattle may have found a way to essentially smother cancer cells in their sleep, preventing them from ever waking up and forming deadly metastatic tumors. The work, led by translational researcher Cyrus Ghajar, PhD, has also turned on its ear the longstanding belief that chemotherapy can’t kill dormant disseminated tumor cells — cancer cells that escape early on and hide out in other regions of the body — because those cells are in a “sleeper state.” They’ve stopped growing so chemo, which blindly targets all fast-growing cells, healthy and otherwise, doesn’t work. Ghajar talks about the spread of breast cancer tumor cells during the third annual Northwest Metastatic Breast Cancer Conference in October 2018. Ghajar’s paper, published on January 21 in Nature Cell Biology, is the culmination of more than four years’ work and proposes both a paradigm shift in how we view dormant disseminated tumor cells — and a new therapy to potentially slay this sleeping giant. Although it’s still early days, Ghajar and his team slashed the metastatic relapse rate in his mice by more than two-thirds. 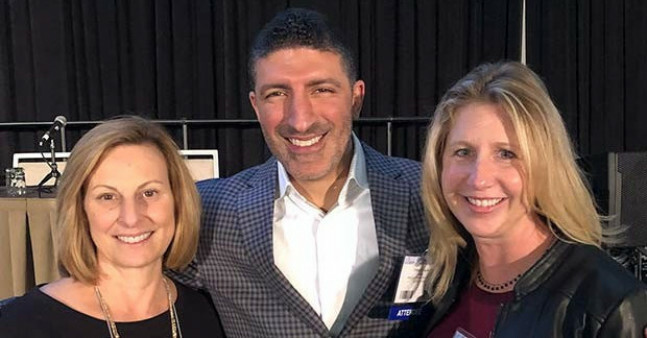 Rebecca Seago-Coyle, a 43-year-old IT project manager and breast cancer survivor who worked with the team as a research advocate, said she loved Ghajar’s innovative approach — and his inclusiveness. Cancer doesn’t just spread because a primary tumor has reached a certain size or stage. Disseminated tumor cells, or DTCs, can break off before a tumor has even formed and travel to distant sites in the body where they lie dormant until something “wakes them up” and they start the deadly process of metastasis, or cancer spread/colonization. One common hideout for these sleepy creeps is the bone marrow. Dormant tumor cells have been found in the bone marrow of breast cancer patients at the very earliest stage of the disease — DCIS or stage 0 — and Ghajar said they’re mostly likely present in other patients with early-stage disease, as well. Past research has shown an association between DTCs in the bone marrow of cancer patients and metastatic recurrence — and not necessarily just bone metastasis. Why disseminated tumor cells snuggle up to the bone marrow microenvironment where they go dormant is still a bit of a mystery, although we do know that dormant blood stem cells hang out in the same place. What wakes the sleeping cancer cells up and starts them growing again also remains a huge question. And that has become the focus of his work. For this research, Ghajar and his team focused on the most common type of breast cancer, estrogen-receptor positive (or ER+), which comes back as metastatic disease five or more years after treatment in up to 17 percent of early-stage patients. In comparison, the metastatic recurrence rate for all breast cancer patients is thought to be between 20 and 30 percent. “There’s this long tail in ER+ breast cancer where patients will go for years and years without any kind of problem and then five, seven, 10, 15, 20 years later, they have a recurrence,” Ghajar said. Unlike some early-stage cancers, metastatic disease is incurable. Patients with stage 4 disease are in treatment for the rest of their lives. And while some patients live with their cancer for years — or even decades — when their treatment stops working or they run out of options, they die. Ghajar’s finding, if it holds true, could reduce the number of early stagers who go on to become metastatic, effectively snipping off breast cancer’s long tail. Teri Pollastro, 58, another research advocate who worked with Ghajar, went from DCIS, or stage 0, to stage 4 years after her initial treatment. 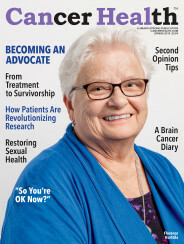 She believes her advanced cancer was a direct result of awakened DTCs. Ghajar said work he did as a postdoc in the lab of Mina Bissell, PhD, at Lawrence Berkeley National Laboratory, as well as research done at the Hutch by Pete Nelson, MD, led him to question the conventional wisdom of DTCs surviving chemo due to their paused cell cycle. “We’ve seen evidence that quiescent cells respond to chemo,” Ghajar said. “They seem to sense when you dump chemicals on them. And there’s been other evidence that architecture — the microenvironment — may be more important than the cell-cycle state in terms of the response to chemotherapy.” Tumor microenvironments are the noncancerous cells and molecules surrounding tumor cells; they’re often co-opted by the cancer to help it grow. To pursue this scientific question, Ghajar and his team looked at how DTCs behaved in two preclinical models: mice with breast cancer and organotypic cultures, i.e., human blood vessels and bone marrow tissues growing in a dish. The researchers first dosed mice with chemotherapy, then looked for DTCs in their bone marrow. The only tumor cells that survived were those that were nestled close to the microvasculature, the tiny blood vessels of the bone marrow. They then seeded the organotypic cultures with human breast cancer cells. The tumor cells surrounded by blood vessels grew dormant; those without blood vessels continued to rapidly divide. The team then treated the tiny tumor environments with chemotherapy to determine whether DTC survival was coincidental, or something else. To find out, Ghajar and his colleagues used a growth factor to wake up the dormant cells, then treated them with chemotherapy. Conventional wisdom held that the awakened DTCs would be killed because they were now active and rapidly dividing. But that’s not what happened. The researchers then went about trying to determine what it was about the blood vessels that offered protection to both active and quiescent cancer cells. In collaboration with Nelson’s laboratory at the Hutch, they used RNA sequencing to look at the genes that were being activated or expressed in the organotypic cultures both with and without the blood vessels. They then used protein analysis or proteomics to discover what, exactly, was being secreted and deposited on the surface of the various cells that might result in this protection. Eventually, they found the answer. “The main thing that was being enriched when blood vessels were present — as opposed to when they weren’t present — were molecules that bind integrins,” Ghajar said. Integrins are proteins that, among other things, help with cell signaling; they integrate signals from the outside of the cell with the inside of the cell. Humans produce different types of integrins, and there are also several existing molecular inhibitors, or “off-switches,” for them. The research team screened these integrin inhibitors to see if any would interrupt the blood vessels’ protective signaling and found two that did just that. They then combined integrin inhibition with chemotherapy and tried it out on the preclinical model of human bone marrow — to great effect. What’s more, the team was able to kill the DTCs without first waking them up, showing that cell division was not necessary to get chemo’s toxic attention. Once the researchers moved onto mouse models with this new combo therapy, they were able to reduce the reservoir of DTCs in their bone marrow by 94 percent. Further, by following the mice for a number of months, they determined their odds of metastatic recurrence were greatly reduced. Ghajar said his next step will be to make human versions of the molecule he used for integrin inhibition and then test them to make sure they’re safe in people. Once that’s established, the research can move toward a clinical trial that tests the new combo therapy on cancer patients. Although cautious about getting ahead of the science (a clinical trial could be three to five years away), Ghajar does believe his research demonstrates that dormant cells can be killed by chemo without waking them up, which is significant in and of itself. “No matter what happens with regard to the specific molecules we’ve discovered, that concept is going to endure,” he said. Could this potentially help patients currently living with metastatic breast cancer? Ghajar said it’s too early to draw any conclusions about that. Pollastro, the patient advocate living with metastatic disease, said she’s optimistic, despite the nascent stage of Ghajar’s work. Funding for this research came from Fred Hutch, the Cuyamaca Foundation, a Department of Defense Era of Hope Award, Breast Cancer Research Fund, National Breast Cancer Coalition’s Artemis Project for Metastasis Prevention, Susan G. Komen, the National Institutes of Health/National Cancer Institute and the Fred Hutch/University of Washington Cancer Consortium. This article was originally published on January 21, 2019, by Hutch News. It is republished with permission.